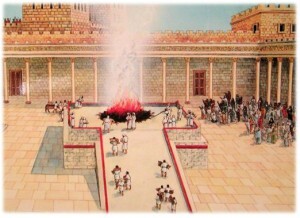 During the days of the ancient Jewish kingdom in Israel, the focal point of the nation was the Temple. The Temple was a place where the glory of God was revealed on a daily basis; our Rabbis teach us that ten ongoing miracles took place there. One of those miracles was that regardless of how much it may have rained, the rain was never successful in extinguishing the fire that was always present on the altar.